Bucharest has an emerging food scene. A local friend told me that five to six years ago most restaurants focused solely on local or traditional dishes and that the trendy/fusion restaurants are something new to the city. Now, Bucharest restaurants have a wide range of offerings, usually taking advantage of what’s fresh and seasonal. 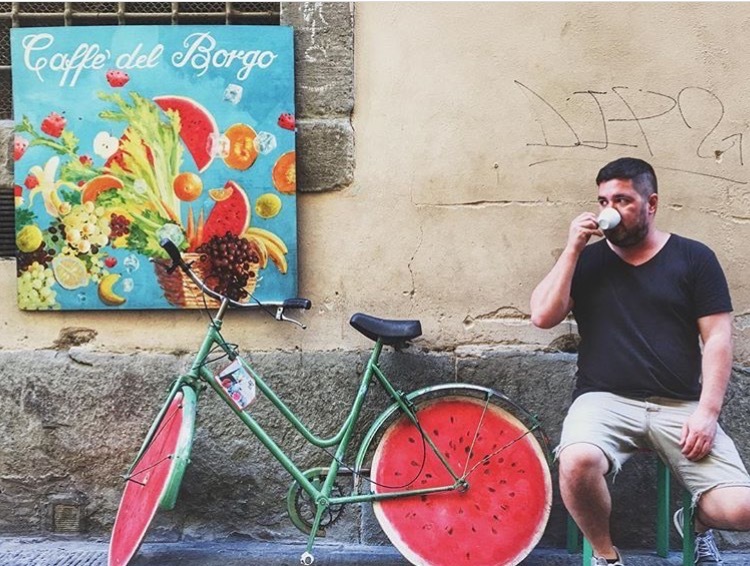 After recently spending more than a month eating my way through the city, I’ve compiled this list of the best restaurants in Bucharest. 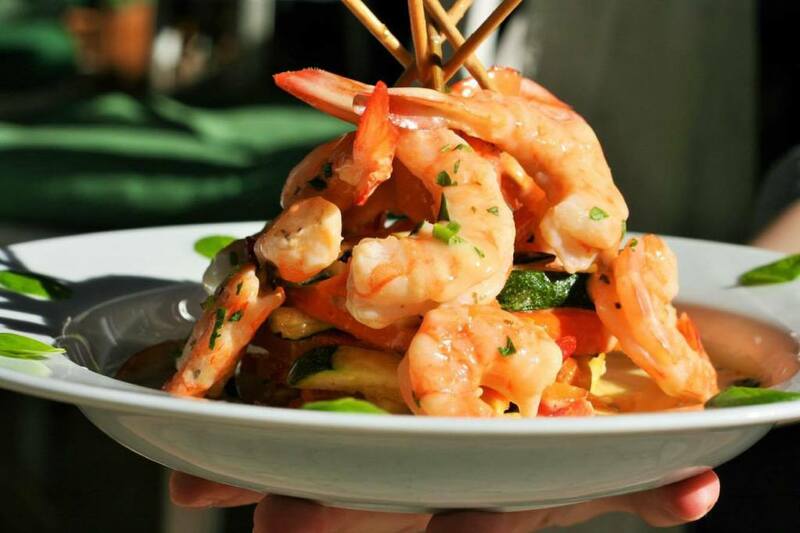 From Italian to seafood to local dishes with modern twists, Bucharest has tons of options that will please anyone. 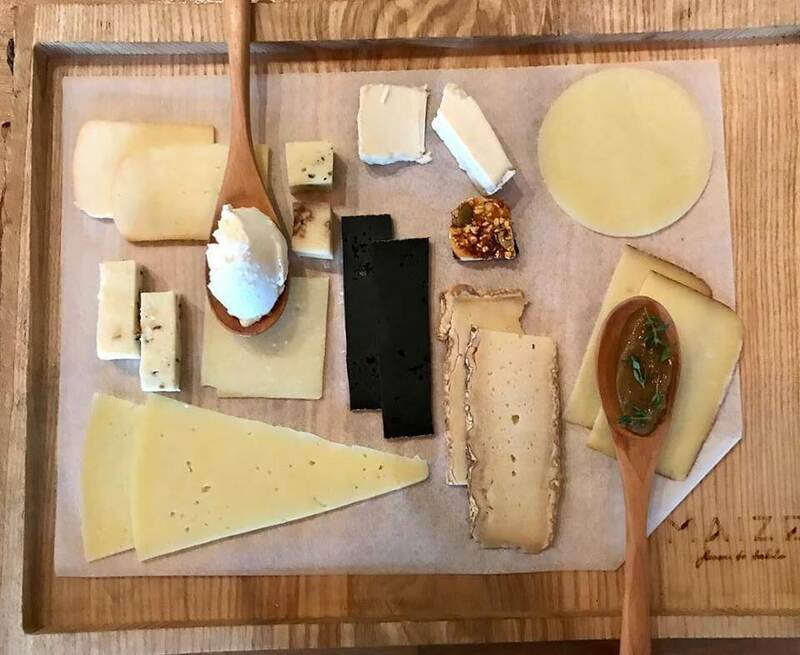 Pâine si Vin translates to bread and wine, which is quite literally the menu- different selections of crusts from around the world (served similar to flat bread pizza) with your choice of toppings and and impressive selection of wines. Crust choices include Roma (traditional pizza style), Flemish, Mexican Ember, Bengalese (naan bread) and Scandinavian. Each crust style is made complete with a variety of toppings sourced from local providers. My favorite was the Mexican Ember crust topped with sour cream, sheeps milk cheese, jalapeños, bacon, corn, red onion, chili flakes and dill. I know it sounds like an interesting combination of ingredients but it was actually delicious. 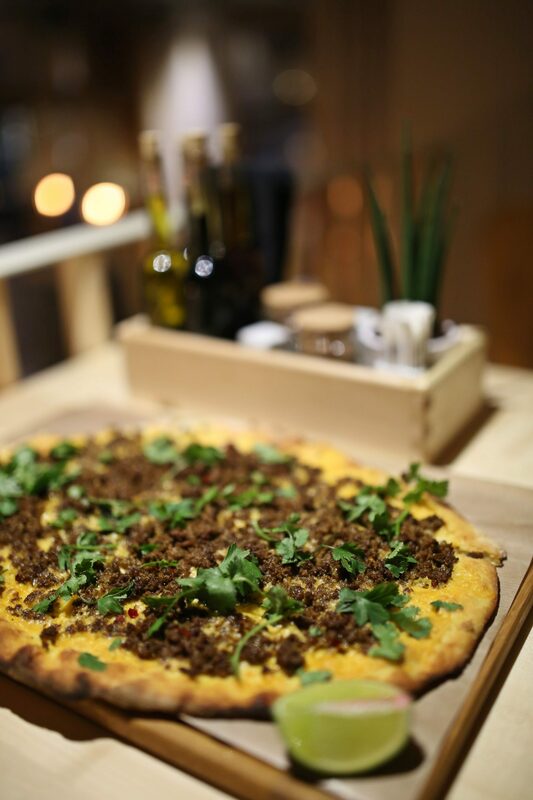 If you’re not feeling that adventurous you could instead try my second favorite- the Bengalese topped with hummus and spiced beef. 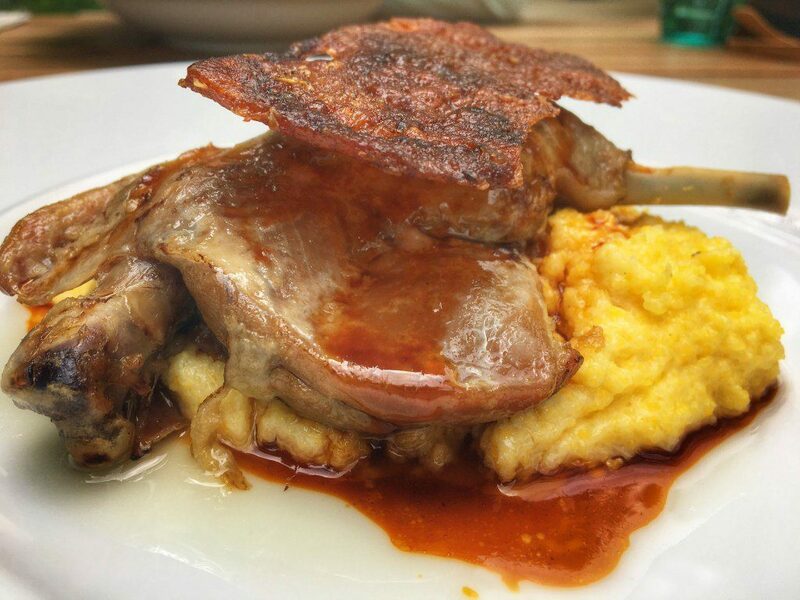 The food at Gastronomika was some of the best I had while in Bucharest. The restaurant is gorgeous, and the atmosphere is cozy yet upscale at the same time. The owner is an incredible host and even kept the restaurant open and the wine flowing late when our group dinner ran long and we were still enjoying ourselves. I don’t often recommend chains when I suggest restaurants, but I really enjoyed La Mama. When I mentioned to a local friend that I thought it was good, in spite of being a chain, he told me even locals really enjoy La Mama because the food is traditional. This place is a great starting point if you’ve never tried Romanian food before, as they have menus available in English as well as Romanian, and the friendly waitstaff are happy to explain menu items to you and make suggestions. La Mama was where I first tried sarmale, the dish pictured below. Sarmale is a classic Romanian dish. This version features minced pork stuffed inside cabbage leaves. Other versions use grape leaves rather than cabbage, but I much prefer cabbage. Sarmale is often served with polenta, cream and fatty bacon. It is one of my favorite Romanian dishes! 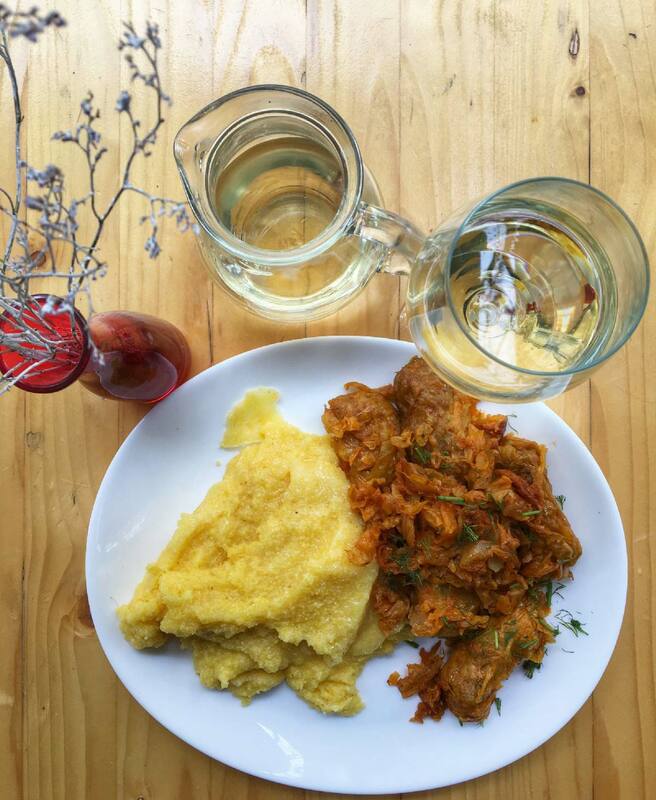 If I had to suggest only one restaurant for you to try while visiting Bucharest, it would have to be Beca’s Kitchen. The small but cozy restaurant has an ever changing menu featuring whatever is in season at the moment. The owner, Beca, is passionate about food, and this excitement comes through as she explains her menu. The menu edges towards healthy without focusing on it entirely- dishes like fresh fish and locally sourced vegetables and vegan soups so delicious you’d swear they are loaded with butter. If I had to suggest one dish, it would be whatever Beca recommends as she explains the menu to you. The menu is updated almost daily, and during out multiple visits, her suggestions were always spot on. 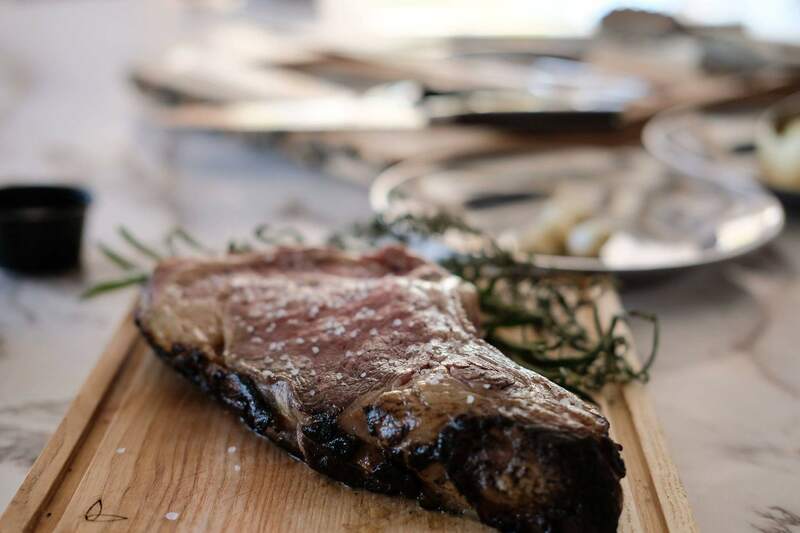 Coetelaria literally translates to “rib place”. 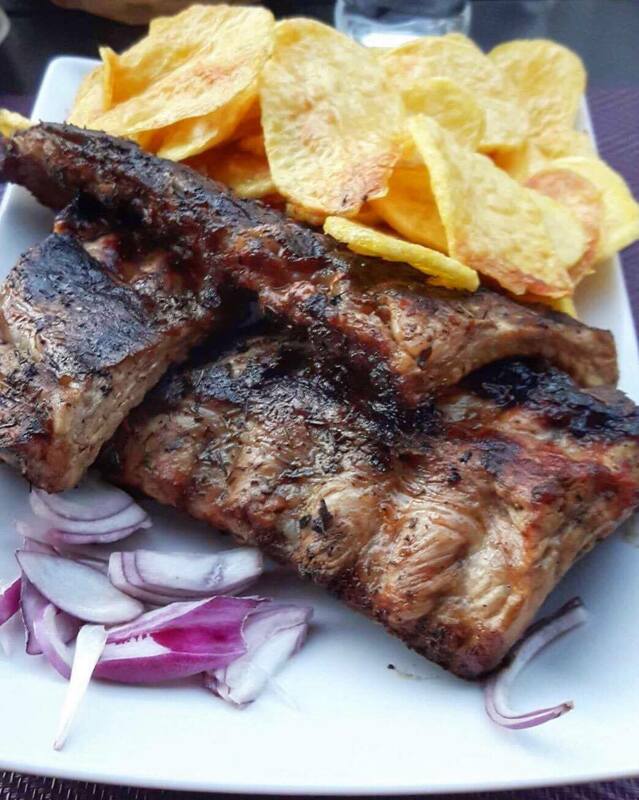 This restaurant is famous for serving the best ribs in all of Bucharest. The restaurant has a large and impressive menu featuring steaks and fish, but we went for the dish they’re most known for- the ribs. I shared a platter of beef, pork and lamb ribs with a side of homemade potato chips. 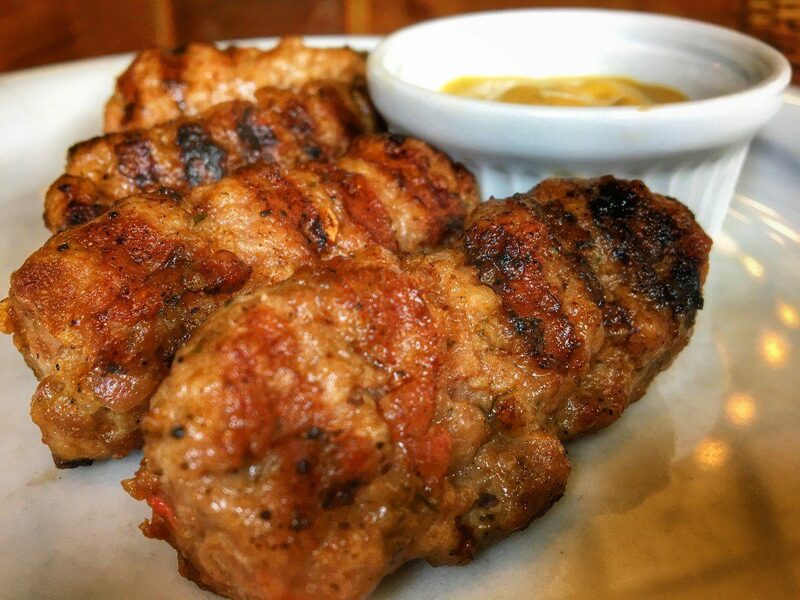 This place is a can’t miss for any meat eaters visiting Bucharest! I discovered Maize on my most recent return to Bucharest and I’m genuinely sad I didn’t know about it from my first visit. The restaurant is a farm to table concept focusing on new Romanian cuisine, or updated traditional recipes done very high end. Some of our favorite dishes from the night were the seafood dishes, especially the octopus dish. Also, the catch of the day grilled over coals looked amazing. But, the best meal ordered were the steaks, by far. The cuts were huge and perfectly seasoned and cooked. Yes, it costs a bit more than other steaks you can find in Bucharest but the quality was plainly obvious. Also, Maize is doing really interesting work with cheese. 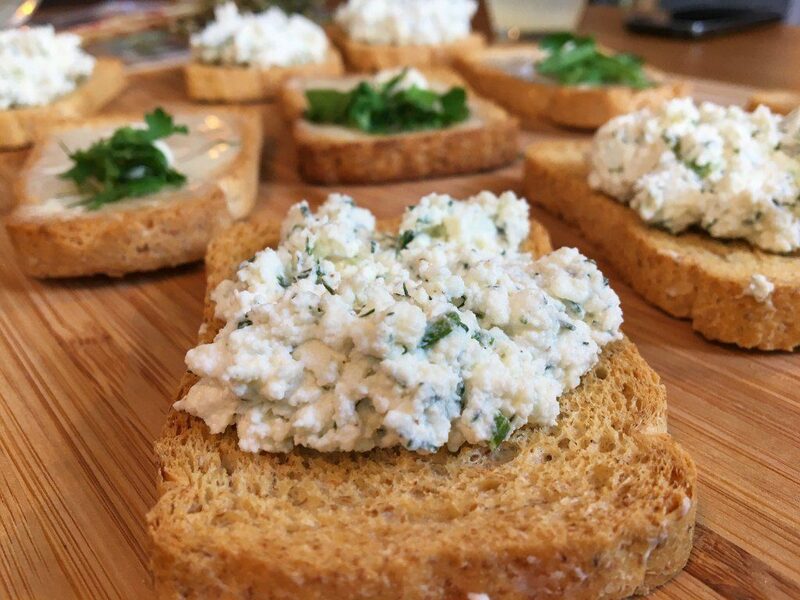 Romania is not known for aged cheeses, generally favoring fresh white cheeses. But Maize is trying to bring aged cheeses into the Romanian cuisine. I recommend you to start with a charcuterie platter to try some of their creations. They also feature a tasting menu at the chefs table that I hope to make it back for. Enjoying this post? Please consider pinning it! 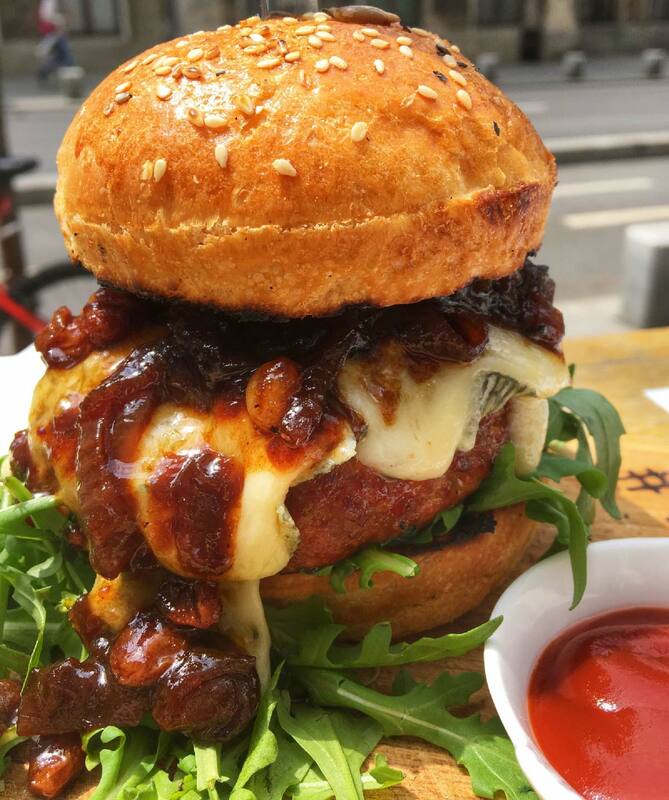 When more than one local told me Za Lokal had the best burger in town, I knew I had to go. 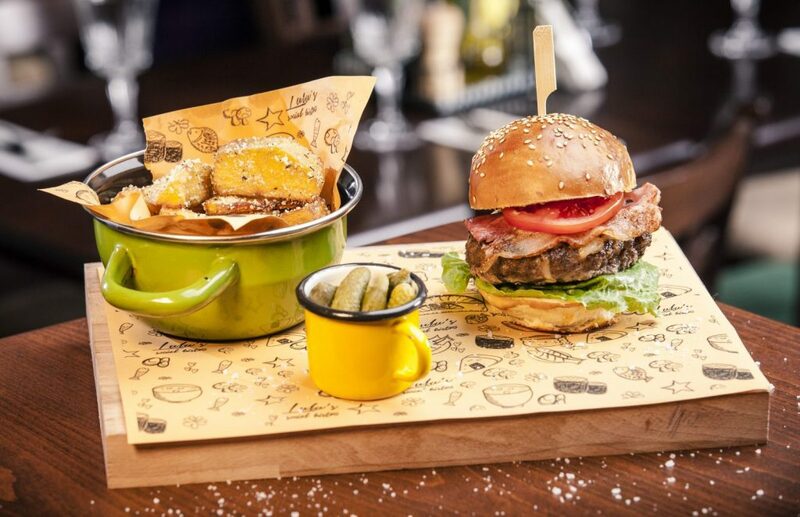 The burger menu is large and impressive and includes choices with beef, pork, lamb and even duck. I went for the beef burger with blue cheese and caramelized onions. The onions were cooked to the point of being sweet, a flavor that paired well with the blue cheese. 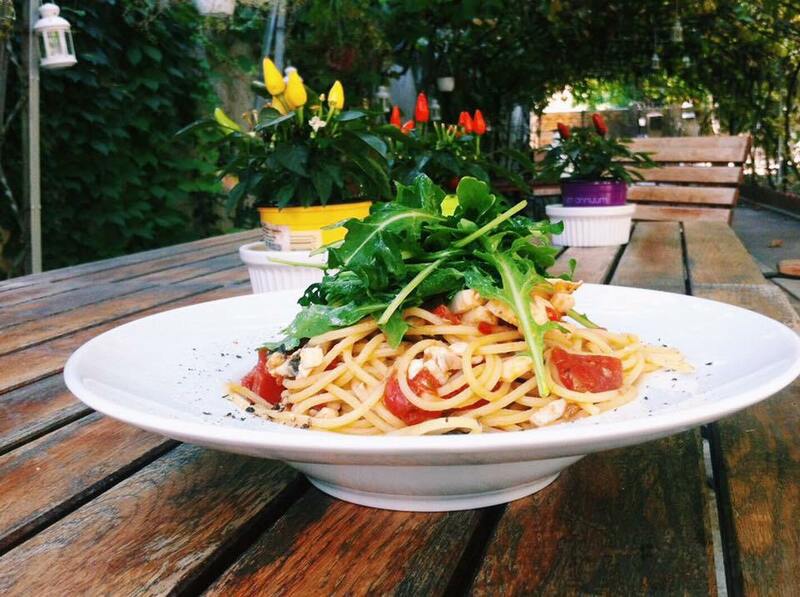 On another visit we discovered that Za Lokal isn’t just a burger restaurant- they serve excellent pastas as well. 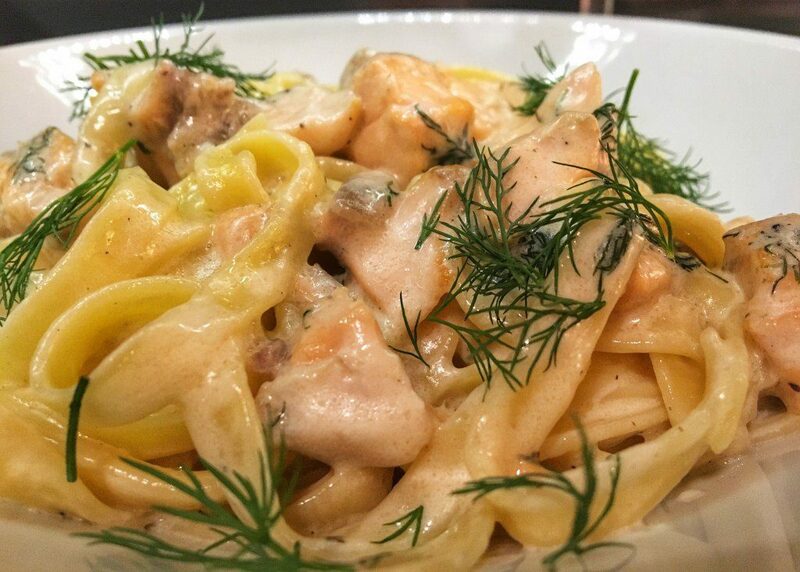 This salmon pasta in a cream sauce was delicious and surprisingly light for a dish that included cream. Mahala the restaurant is nearly as impressive as the food it serves. The interior is gorgeous, and the large patio is perfect for dining outdoors when the weather permits. The prices at Mahala approach the higher end of what I found in Bucharest, but the food was high quality, the atmosphere was amazing, and the presentation was gorgeous. I definitely considered it worth the splurge. Supapa advertises itself as an urban/slowfood restaurant, and I definitely found that description fitting. The menu features Romanian comfort foods done well. The atmosphere is friendly and relaxed and makes you want to linger. The menu also features a nice selection of local wines and craft beers. 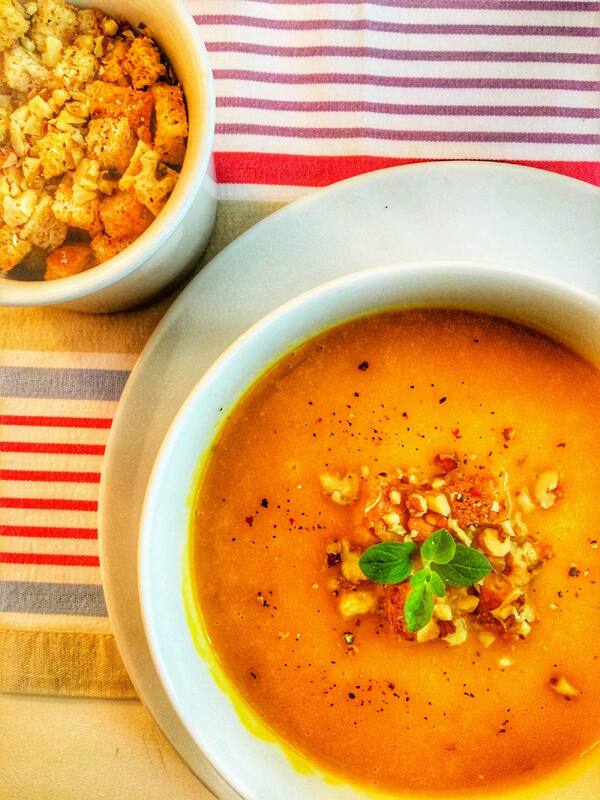 Make sure to try one of their freshly made soups! 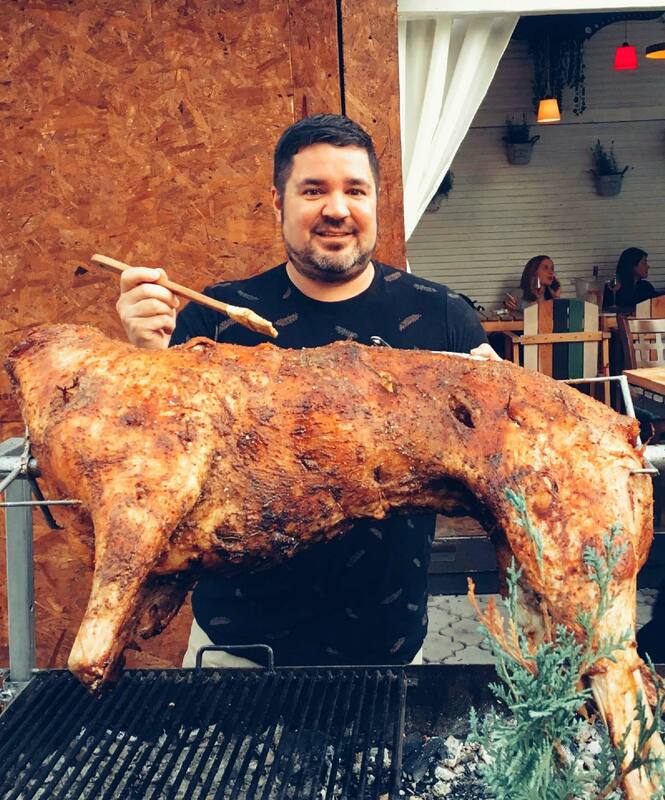 During my time at Experience Bucharest, one of our group dinners was a lamb roast at Lulu’s Social Bistro. When I saw the photos, I was legitimately upset I had missed this particular dinner. I contacted the chef, and he was nice enough to organize a separate roast dinner. I love the patio dining at Lulu’s, and I especially love the owner- he was so friendly and fun, and he genuinely seemed to enjoy hosting big parties like this. He was very much in his element. On a return visit, I was able to try more dishes, and they were as great as our first dinner. Definitely check this place out, especially when it’s nice enough to sit outside, as the patio was one of my favorite features. When I found out there was an Italian restaurant just outside of old town, the most touristic part of Bucharest, I didn’t expect much. But they were open late, and I was hungry, so I went in. I was pleasantly surprised by how great Borsalino was. It was so good, in fact, that I went back a second time before leaving Bucharest. 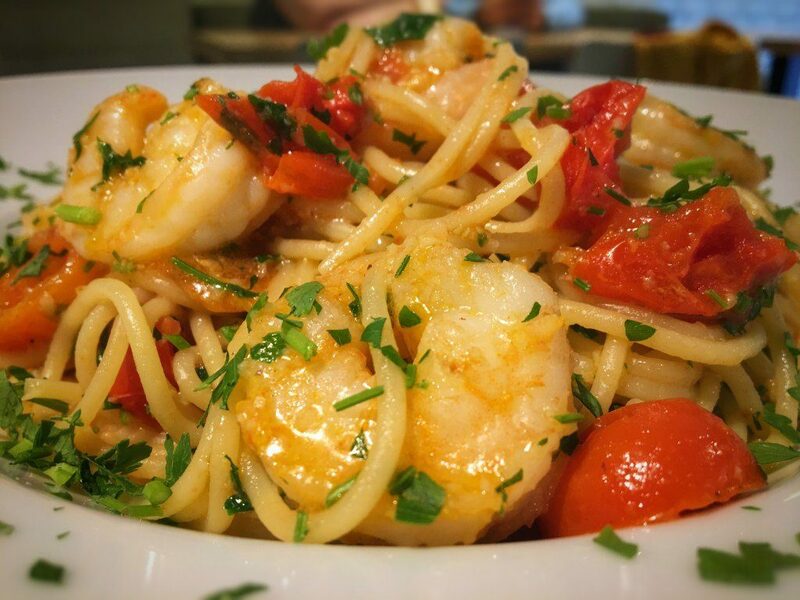 The restaurant features a large selection of pastas, pizzas and antipasta. The servings were large and fresh, and the waitstaff were all helpful with making selections. 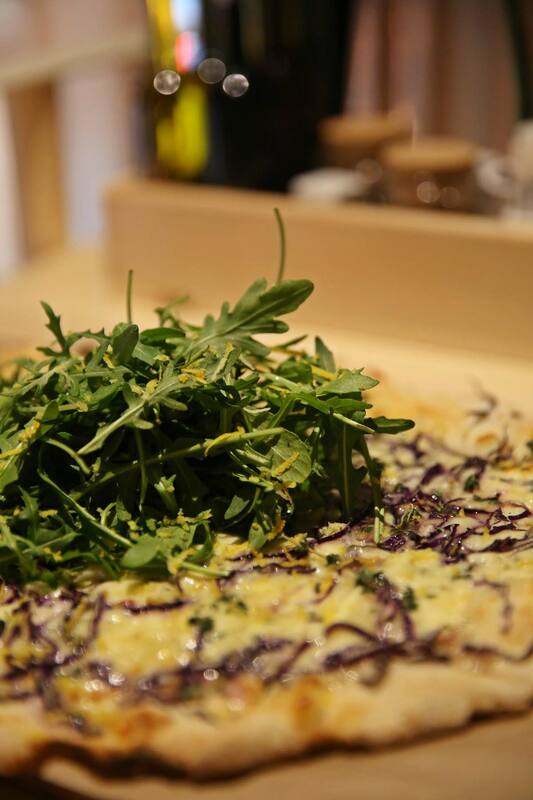 If you’re in Bucharest and craving Italian food, this is definitely the place to go. 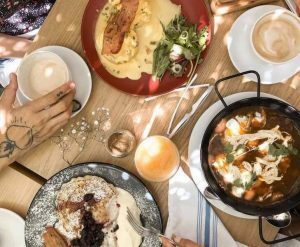 When my friends and fellow food bloggers told me they had just had the best breakfast of their entire stay in Bucharest, I knew I had to check it out. Chocolat has a menu so large it is almost intimidating, but on their suggestion I knew what I was there to order: the salty breakfast. 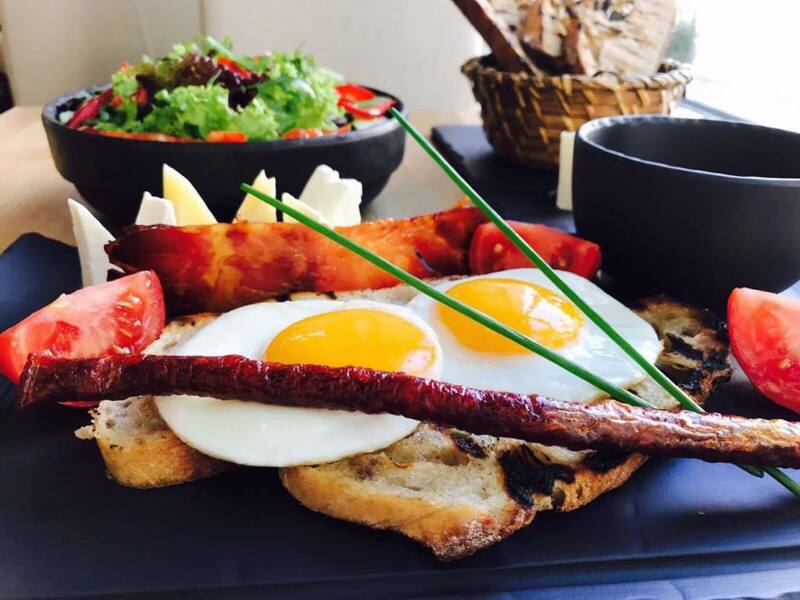 The breakfast is huge, so make sure you come hungry for this one: your choice of tea or coffee, salad, bread, cheeses, butter, sausages, and cured meats. I couldn’t even finish! This restaurant may be the most local, hidden gem of any I visited during my stay in Bucharest. A local friend recommended this particular spot because it’s known as the best place in town for mici, Romanian skinless sausages. The sausages are grilled fresh to order and served with mustard and crusty bread. During the same visit, we also ordered a peasants beef soup that was quite delicious- it tasted like something your grandmother would make for you during winter. When I think of a pub I think of something a bit more hole in the wall than this place, which is modern and almost trendy. 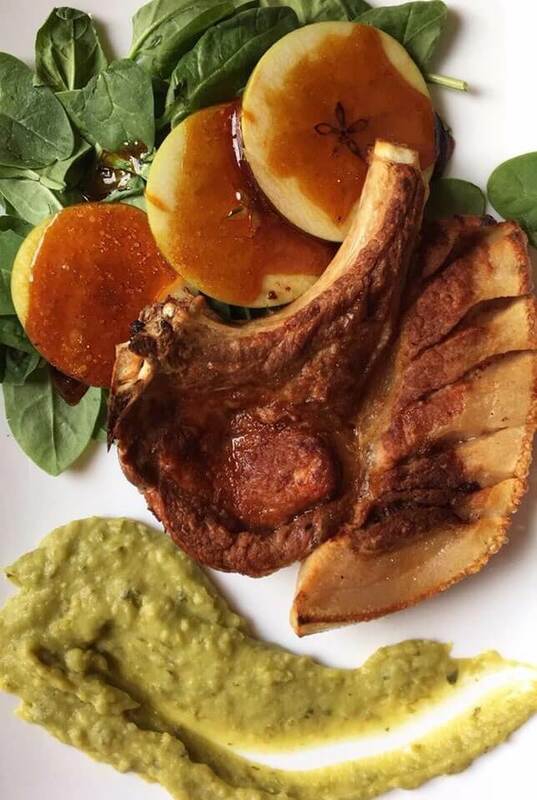 The menu includes pasta and steak dishes and also this porkchop with brûléed apples that I tried. 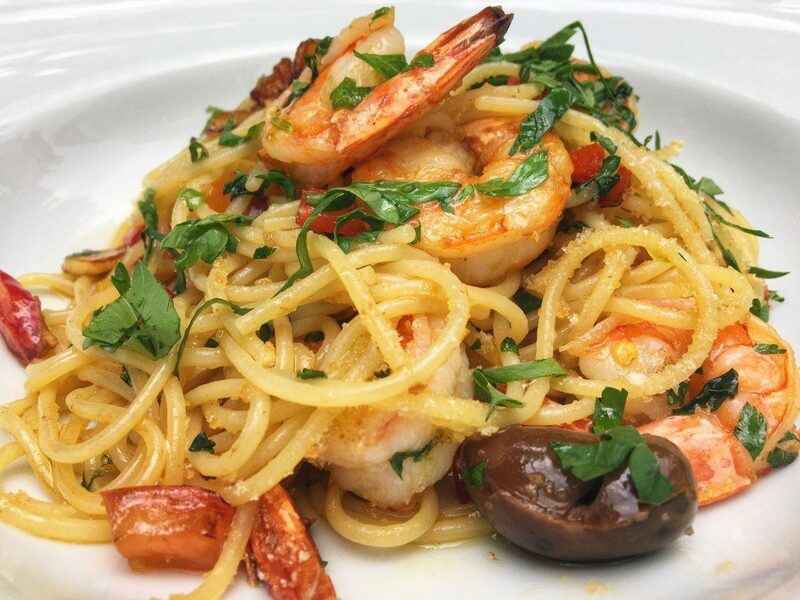 All of the portions are generous and the friendly waitstaff is happy to help you with the menu. During good weather try for a seat in the gorgeous garden. The restaurant seems to be really popular with locals, which is always a good sign. During my return visit to Bucharest I was able to check out Blue Margarita, which had opened since I was last in town. Thinking it was a Mexican restaurant I soon found Blue Margarita does much more than just Mexican food. 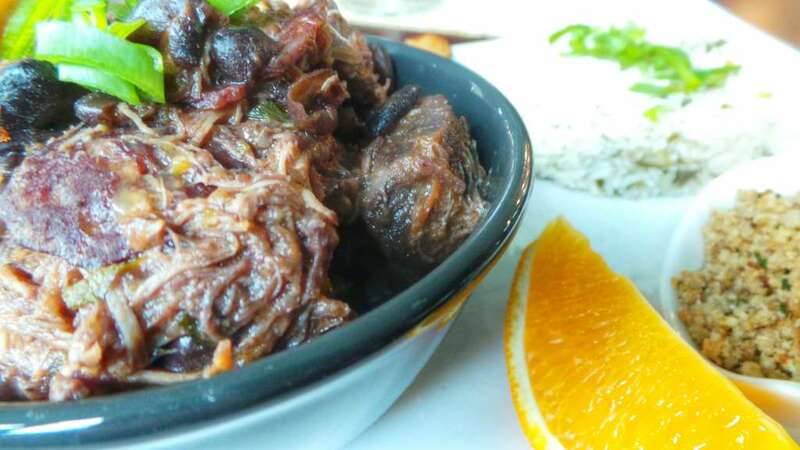 The restaurant also focuses on South American cuisine, like this traditional Brazilian stew that I tried. The menu is updated interpretations of traditional South American dishes. The young chef is creative and passionate and you can tell a lot of thought has gone into his menu. 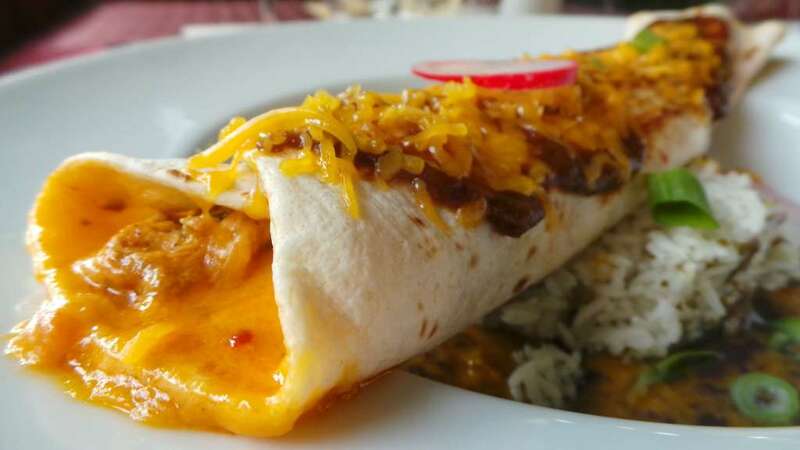 The restaurant also offers a selection of Mexican dishes which were executed very well. I especially liked the chicken enchiladas I tried. Also, we heard rumors of a special gourmet burger not found on the menu that the chef will make if you order in advance. I hope to make it back to try it soon! And finally, one last restaurant I was lucky enough to dine at. The Artist is one of the best restaurants in Bucharest and can be difficult to get into. Local friends advised me to call well in advance. Fortunately, the second time I was in town, they had a table open. The Artist has a standard menu to choose from- appetizers, main courses and desserts. My friend and I, however, chose to go for their spoons tasting course. This is where you are served with one perfectly presented spoonful of each of the offerings from either their appetizer or main courses. We chose to do both. 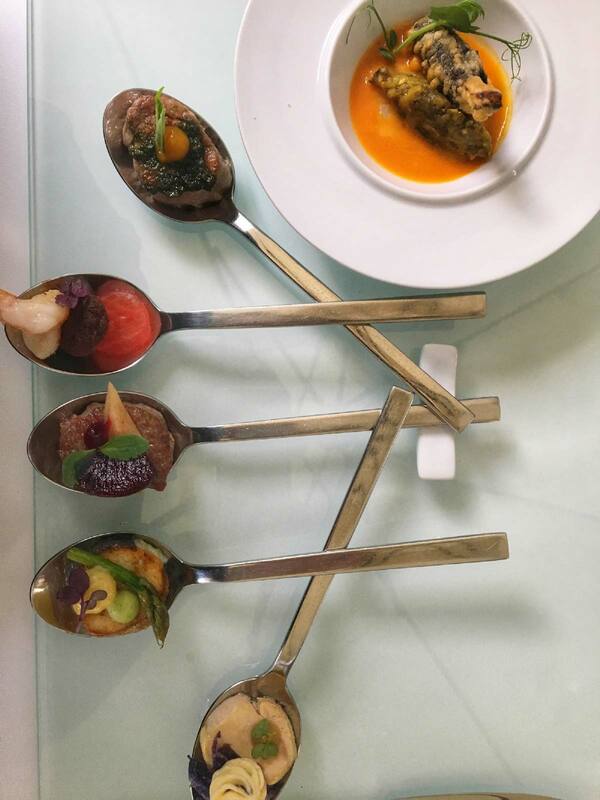 12 courses, each like small works of art, were delivered to our table. We sampled everything from trout and sea bass to foie gras, sous vide chicken, jumbo prawns, lamb, Wagyu beef, octopus and more. While definitely a special occasion or treat yourself meal, I highly recommend it. It was as delicious as beautiful. Remember to call well in advance to ensure a reservation. Which of these Bucharest restaurants would you most like to try? Let me know in the comments section below! Is this trend going to end anytime soon? Are the likes of Melbourne moving beyond this? What’s the next trend? Proxmity food seems big here in Barcelona, not sure if that’s is random or not. Wow, everything looks so yumy! 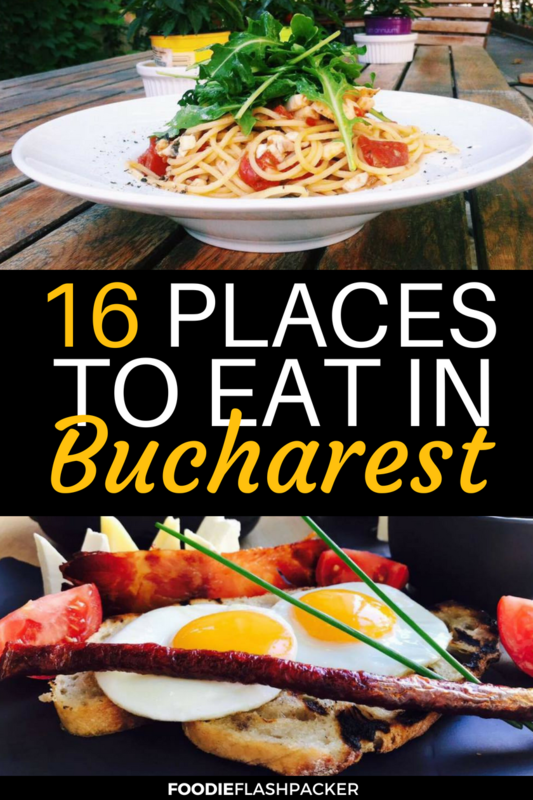 I can’t wait to travel to Bucharest to try out some of these restaurants. Thanks for sharing this post! Not sure if Bucharest has more to offer, but just with your Food Selections you have convinced me to go!!! Good job and thank you so much!! All the food picture here is just making me crave. How’s the pricing for these though?Are they relatively cheap? I heard lots of good things about Romania. I have never thought about visiting Bucharest but reading this article about the food I am now extremely interested. The food looks outstanding. You’ve done a great job of scoping out the best restaurants. All the photos are making me hungry! I’m thinking of visiting next year and will keep this article in mind for when I go. Not a post to read when you are very hungry :P. Love the presentation and is hard to pick the best of the lot. I am in for the fishes though. Gokul Raj recently posted…How to deal with the ‘Traveler’s Tummy’ ? Absolutely fell in love with Romania and Bucharest, we could easily live there. The place has such a trendy and modern feel and that is reflected in the amazing places to eat and drink here! 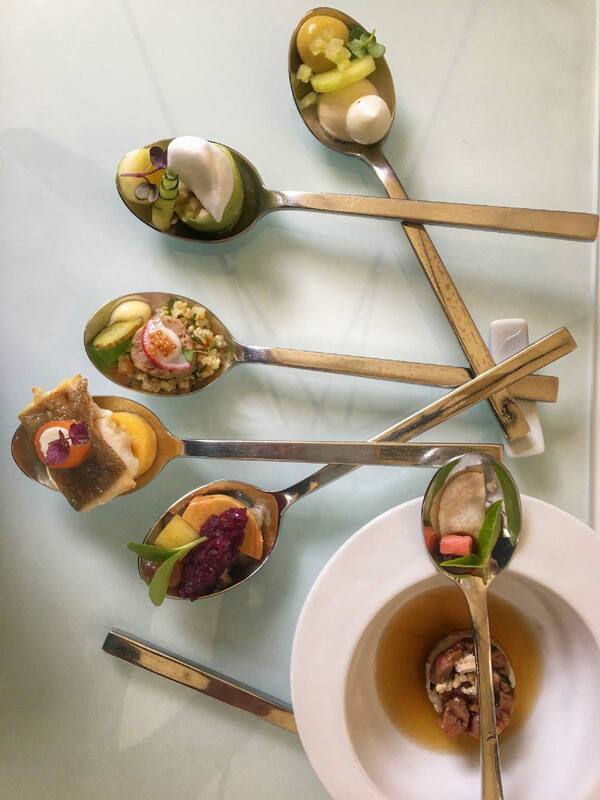 Food photography is a different ball game and you’ve obviously mastered the game 🙂 Such fabulous pictures…I can see the gleam of the spoons and the texture of the dishes is clearly visible. Lighting is perfect too. Oh wow they all looks so delicious but Mahala and Lulus caught my eye specially the roast lamb never seen before but looks good. You’ve convinced me. It’s time to go back to Romania. I did not eat at any of these and that lamb roast as well as the Artist, is calling me. 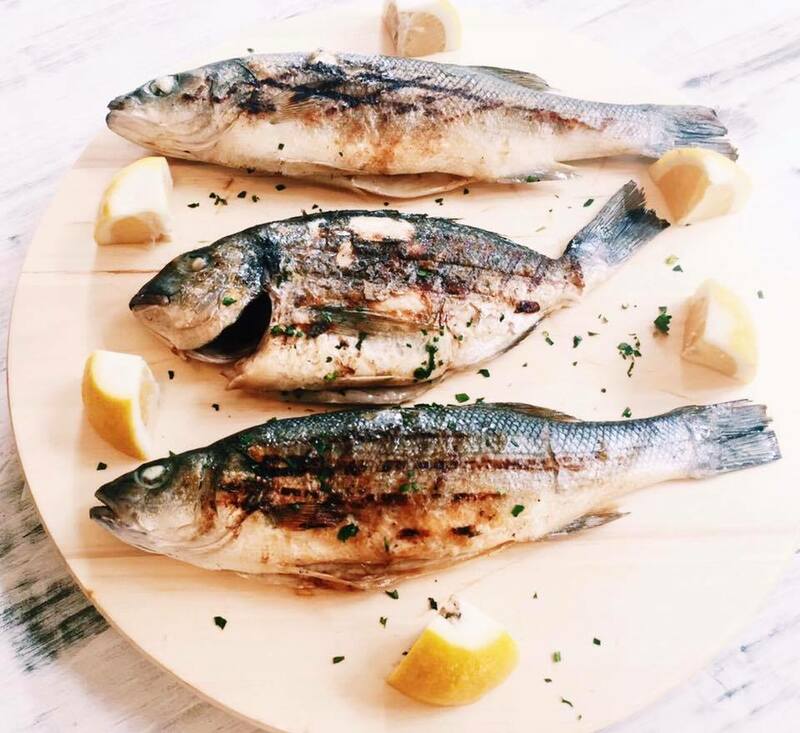 Ohhhhh that fish at Gastronomia looks incredible. This post is making me salivate! Good god Nathan, you’re killing me! Victoria @TheBritishBerliner recently posted…How to be a German – 10 ways to do it! Good- that means my plan is working lol! I hope we get to catch up soon! It will be one of the first places I book when I go back this summer also! This is an amazing post. I like your food blog. Your information is really healthy. I read love food and healthy blog. Thank you for shear a great information. Mahala si Artist sau Maize si “La Mama” nu pot merge in acelas top. Sunt restaurante din categorii total diferite din orice punct de vedere.